Get Pregnant with Proven Techniques – Acupuncture for Fertility Works! More couples are turning to Acupuncture in Palm Beach for fertility treatments more and more every day, because the proof is real. The increase in awareness is due to the release of recent studies documenting what ancient Chinese Physicians have known all along. Acupuncture and Chinese Medicine can help you get pregnant. In fact, the kind of acupuncture for fertility enhancement used is increasing conception rates, and decreasing miscarriages. Why Choose Acupuncture for Fertility Enhancement? Acupuncture is a cost effective way to improve fertility or increase the success of the IUI or IVC cycle. Acupuncture can improve the chances of IVF success 40-60% according to recent studies. Lessen many of the unwanted side-effects of ART (Assisted Reproductive Technology) treatment. Enhance conception in ART cycles: IUI, IVF, etc. 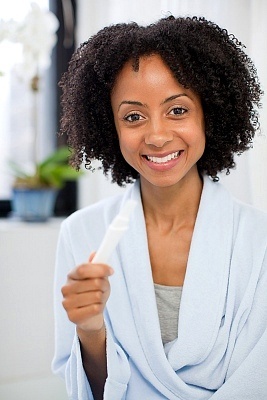 Promote a healthy ongoing pregnancy without complications and a healthy post-partum period. Acupuncture increases the effectiveness of fertility treatments like IVF 40%! Acupuncture and Chinese herbal medicine can be used to help prepare for, and enhance, conception in ART cycles for IVF, IUI and other ART protocols. Fertility acupuncture has been shown to improve fertility rates when used as a complementary therapy for IVF preparation and to support IVF treatment protocols. We work closely with you and your Reproductive Endocrinologist to develop an individualized infertility treatment plan to help enhance your IVF treatment and improve your chances for conception. At Green Acupuncture and Herbal Medicine, we combine evidence-based research protocols, fertility acupuncture and the accumulated knowledge of nearly 3000 years of Traditional Chinese Medicine. We bring the best of both worlds to help our patients fulfill their dream of starting a family. We believe the goal is not just getting pregnant, but promoting a balanced and healthy gestational period. Many of our pregnant moms-to-be continue to receive regular therapy throughout the first trimester of pregnancy. They often will return for treatment of Sciatica, Carpal Tunnel or other complaints during the second and third trimester. We treat the inevitable pains of pregnancy effectively without any risk to the growing fetus unlike drug therapy. Multiple studies demonstrate that Acupuncture and Traditional Chinese Medicine protocols can improve fertility rates by enhancing physiological processes related to fertility. We also offer personalized Acupuncture and Chinese Herbal Medicine treatment therapy plans to enhance and support IVF (in vitro fertilization) and IUI (intra-uterine insemination) protocols. Recent studies have shown that fertility acupuncture can help to improve chances for conception when used as a complementary therapy for IVF and IUI.